We all know people who are “younger” than their chronological age. These people are usually active, are “young at heart”, and “ positive” in their outlook on life. We often hold these folks in high esteem. Conversely, we also all know people who are “older than their years”. Plagued by aches and pains, maybe prematurely gray or balding, sometimes overweight or out of good physical condition, these unfortunate folks appear burdened by life. Life has “taken its toll”. But everyone is trying to look and feel younger these days. How many times do you hear things like “40 is the new 30”, or maybe “50 or 60 is the new 40”? This may be true with the way our body looks or feels. How about how our teeth look and feel? We can divide a person’s dental age into three categories. These are often not “chronologically dependent”. The esteemed dental educator, LD Pankey , founder of the Pankey Institute for Advanced Dental Education, described “dental age” by three categories; Youth, Adult, and Elder. A Dental Youth is categorized by little to minimal dental treatment, other than regular, preventative dental care. These patients have had regular cleanings, maybe previous orthodontic care, a few restorations (fillings), some sealants and wisdom teeth removal. These patients often benefit greatly from teeth whitening. These patients are often teenagers or young adults, who grew up with fluoridated water and regular dental care. These are typically patients in their teens to maybe thirty and beyond. Many have reaped the benefits of fluoride in the drinking water, and grew up with regular preventative maintenance. Some just were born with the right genes. Maybe their only dental treatment, other than regular “cleanings” has been some cosmetic work. Sometimes elective, and some times out of necessity. Personally, I was born with fluoridated water, and have reached my middle fifties without a cavity! I did however, get in the path of a racquetball racquet while in college, and have had extensive cosmetic dentistry done to my front teeth. Ouch! A Dental Adult is categorized by more problems and treatment. Numerous teeth have been restored, some multiple times. Some teeth may have been lost, and are replaced with bridges or implants. They may have been treated for gum disease, or have had root canals and crowns. Cosmetic care for these patients usually involve porcelain crowns and veneers. This is a typical adult patient in my dental practice. They usually come in as a new patient looking for an exam and cleaning, sometimes with a specific problem, and sometimes by word of mouth referral or introduction, looking for solutions to a specific problem. Some are looking for sedation dentistry, to get many things done in a short period of time, while they snooze, and to relieve their dental anxiety. A Dental Elder is often the victim or result of incomplete, inadequate or nonexistent dental care or “patchwork”. They often are missing teeth, which are replaced by partial dentures or complete dentures, or nothing at all. The teeth may be misaligned and the patient often has “bite” issues and trouble chewing their food properly. Sometimes they have to “gum it”. Often they take medications which cause a “dry mouth”, so they suffer from dental decay and have trouble wearing their dentures or partials. THIS IS NOT WHERE YOU WANT TO BE! I have many patients in their 40’s, 50’s and 60’s who are “Dental Youths” . They are blessed with good genetics, but also are proactive with their dental care, in the office and at home. I also have patients in their 20’s and 30’s who are “Dental Elders”. They are missing many or all of their teeth, and based on their age, are really dentally crippled. The causes could be genetic, neglect, or unfortunate circumstances (trauma, poor past dental care). They often can be successfully and comprehensively treated with dental restorations, but the treatment is complex, and can be very expensive. So what is Comprehensive Dental Care? The best definition of comprehensive dental care is whatever type of dental treatment that is required to either maintain your dental health (if you are a “dental youth”), or to restore your dental condition to be as close to a dental youth or dental adult, as possible. How do people get into trouble with their teeth, and why should we restore these teeth? After all, many of us have that family member or relative who is able to eat anything with a minimum of teeth. There are really four reasons why people get into trouble with their teeth. Decay. Did you know that there are between 32 and 37 types of bacteria in our mouths that cause dental decay? Scary, huh? Dental decay is definitely on the decline, thanks to fluoride, availability of regular dental care, and education about the importance of regular dental care. But for some people, with “bad genes” or who take many medications , dental decay can become rampant and debilitating. Gum Disease (periodontal disease, or what used to be called, ”pyorrhea”). Back in the “old days” of dental care, this was often ignored because there were so many decay related problems to treat! But now, with the well known and published links between gum disease and heart disease, these problems can no longer be ignored. Fortunately, the treatment of gum disease has probably advanced more than any other aspect of dental treatment. Stress. This can be stress on your teeth from improper alignment or bite, or stress that causes abnormal wear (grinding).About 10% of people grind their teeth at night (actually about 20% of people grind their teeth during the day!). Many of these folks are totally unaware of this condition, but grinding (bruxism) can accelerate the wear on teeth 10 to 20 times normal! Medical or systemic problems. Did you know that 25-50% of patients suffer from Gastro-esophageal reflux disease (GERD) and are totally symptomless? The only sign of the disease is inappropriate wear or loss of enamel on the teeth. So half of all GERD patients could only be diagnosed by your dentist. Unfortunately, undiagnosed or untreated GERD can lead to the pre-cancerous condition of Barrett’s Esophagitis. Many medications today (or just Father Time) can cause “dry mouth syndrome”. Patients with deficient salivary flow often develop extensive tooth decay. Diabetes is another common cause of deficient salivary flow. Comprehensive dental care is about dentistry that is predictable and long lasting. It considers every aspect of your life, medical condition, and your dental condition. It’s about the dental care that is best for you. We often call this “adult dental care”. It all starts with an in depth interview with you, to determine your dental goals. We want to determine your dental, medical and emotional history. That’s right , your emotions, your feelings and past experiences can often play a huge role in the dentistry that we will recommend, and how we will go about delivering that care. Part of adult dental care is customizing the treatment plan to satisfy the patient’s dental and emotional needs too! When there is extensive dental work needed, we go beyond a regular dental checkup (such as a dental youth would require), and complete more of a “dental physical”. This usually involves a complete set of dental x-rays and digital photographs, periodontal (gum) measurements or probing, impressions and bite registrations of your teeth, and analysis of your jaw joints and chewing muscles. Just like when you go to your regular doctor, they order a series of tests if you have advanced problems, we will order tests to study your dental problems. The dental tests are just a little different than the medical tests. Our goal is to leave no stone unturned, so that we may restore and engineer your teeth to last the maximum time. More importantly, we can use these records to show you and explain to you what is going on in your mouth, so you can make an informed decision about your dental health. We also want to think that we can “over-engineer” your teeth, to last 20 or more years. Just like buildings and bridges wear out with time, dental materials wear out with time. Today’s materials are much better than just five or ten years ago, but they still will wear out. We just cannot compete or better what the Creator placed first! Over-engineering does take more time, effort, skill, and judgement, but we don’t want to count on luck! We want to be sure. I’m sure that you do too. Unfortunately, typical dental insurance companies do not reimburse at a level for long lasting, complex dental care. 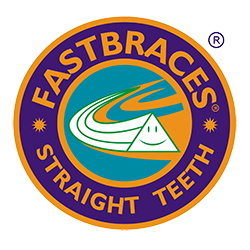 They are more in tune with single tooth, simple dentistry, that usually only lasts three to five years. Regular, “check-up” dentistry that is designed for dental youth and routine dental adults is very different from comprehensive, dental elder dentistry. If you have comprehensive or complex dental care needs, be sure to find a dentist trained in complex care. You want to ask questions, look at cases similar to yours, ask for testimonials, and ask for credentials and training that the dentist has completed. As you may know, I have had extensive advanced training in all aspects of adult dentistry, far beyond most “regular dentists”. As you might guess, there is far more to dental care than just these parts. There are also biologic concerns of the gum tissue, cosmetic and smile design components and bifunctional parameters of the chewing mechanism. Your dental success also requires for you to be a partner in your care. We require that you maintain your regular professional hygiene maintenance visits in our office . Don’t worry. We can make it easy and understandable for you!